Munich - Diego, Naldo and Klaus Allofs all face their former club on Saturday (15:30 CET) as Wolfsburg welcome Werder Bremen. Elsewhere, high-flying FC Schalke 04 and Eintracht Frankfurt meet in a top-of-the-table clash and the Germany's oldest derby takes place in Bavaria for the first time in the Bundesliga. It's a case of pastures old for Diego and Naldo this Saturday as the Brazilian duo get set to face former club Werder Bremen at the Volkswagen-Arena. While Diego’s last game for Bremen dates back to 30 May 2009, when he inspired the club to a 1-0 victory over Bayer 04 Leverkusen in the DFB Cup final, their last major trophy, Naldo’s seven-year spell on the Weser only ended in July. So too does sporting director Allofs, who had already been with Bremen for six years before Naldo arrived. 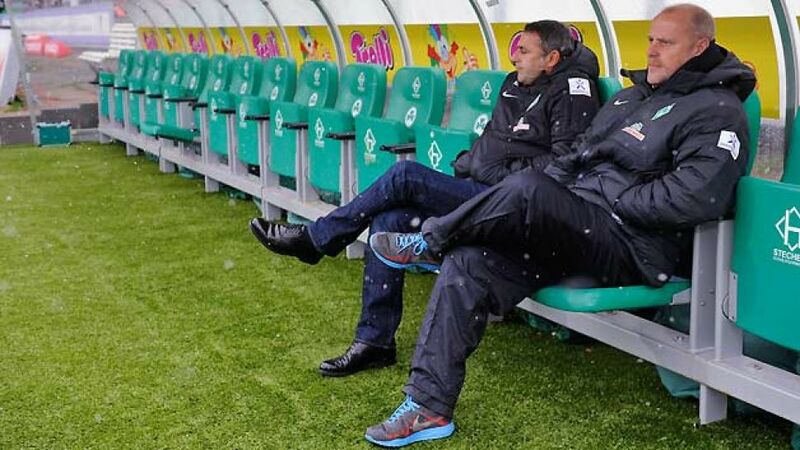 Not only will he be reunited with his former club on Saturday, but his long-time buddy and right-hand man, Bremen coach Thomas Schaaf, just 10 days after bringing an end to what seemed to be an inseparable partnership. While Bremen may still be upset at losing Allofs, Naldo is delighted to be working under his former mentor once again. “He's a very good sporting director. What he did for Bremen over all those years speaks for itself,” added the Brazilian. Beating the likes of Arsenal, Olympiacos and Montpellier is one thing, joining Barcelona, Real Madrid, Manchester United and other top European clubs in the last 16 of the UEFA Champions League is another, but having to keep the motivation high for a return to Bundesliga action and keep the energy levels up for a 10th game in the space of six weeks are the challenges facing Schalke 04 coach Huub Stevens on Saturday. It’s no ordinary Bundesliga fixture either, with second-placed Schalke hosting third-placed Eintracht Frankfurt at the Veltins Arena in a surprise top-of-the-table encounter. Although Julian Draxler insists tiredness will not be an issue, Stevens believes his side will nevertheless need a big helping hand from the crowd if they are to establish themselves as Bayern’s number one hunters this season. "We need the support from the fans," said the Dutch coach. "I hope that the joy of qualifying for the knockout stage of the Champions League will help us recover physically because Frankfurt are certain to be very demanding opponents." Demanding, yes. Ambitious, yes. But presumptuous, no. “We are definitely outsiders," said their coach Armin Veh, despite being level on points with his side’s hosts after twelve games of the season. "Schalke have the clear aim of playing in the Champions League, and so they should. They have a top-quality side and are one of the three big clubs: Bayern, Dortmund and Schalke." It is the oldest derby in Germany, staged some 254 times already, yet tomorrow’s clash between Greuther Fürth and neighbours Nuremberg is a first in the Bundesliga. The two neighbours, divided by a mere matter of kilometres in Franconia, first met in friendly circumstances in 1902, with Nuremberg running out easy 15-0 winners, but it was much tighter the last time they crossed swords last year in the DFB Cup, when Fürth pulled off a major coup by downing their neighbours en route to the semi-finals. That result still rankles with Nuremberg, who still feel they are the more illustrious of the two sides, and they'll be confident of setting the record straight at the Trolli Arena, where Fürth have yet to win a single game in the Bundesliga. "Images of the cup game are still in our minds," said coach Dieter Hecking. "We want revenge." Fürth, meanwhile, could not imagine a better way to celebrate their first home victory since promotion to the top flight than by beating their arch-rivals. "The whole of Fürth is behind us and that gives us strength," said the club’s president Helmut Hack. “We have to ensure that we keep the points here at last."